However, when she started to look for a replacement vehicle for her 13–year-old Toyota Yaris Verso, little did she know that it would take her six months to find exactly the model that she needed. For the past few years, Pat, who lives in Sevenoaks, Kent, has been living with rheumatoid arthritis, which limits her ability to walk. Last November, her companion, Sally, died, leaving Pat without anyone to help her load her scooter into her car, which had been achieved using ramps. It meant that Pat could no longer take her scooter with her on journeys unless she could find a vehicle that could accommodate it without too much difficulty. Ideally, Pat would have replaced her Yaris with a newer model, but she found out that they were no longer being manufactured. She then looked at different ways to load her scooter into cars and discovered our range of mini-hoists, which can transfer scooters in and out of car boots at the mere touch of a button. Confident that this was her preferred option – and far easier than her ramps - she then started looking for the ideal car to go with it. 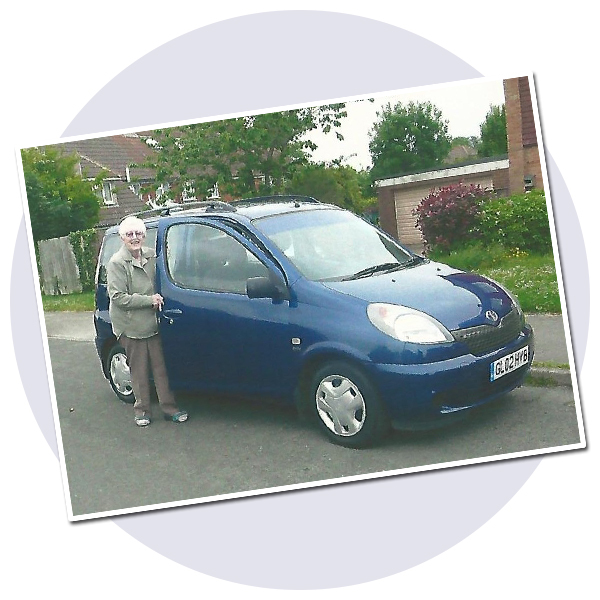 She said: "Whichever car I was going to choose, I wanted it to be the same size as my Yaris, but it was important that it had the same sized boot. "I asked lots of people for advice and Autochair were brilliant. Not only did they give me a very good demonstration of the hoist, they gave me lots of advice about what car too look for. Pat eventually found her dream car – a VW Caddy Life – which she will take delivery of in August, complete with a 40kg Mini-Hoist fitted to lift her scooter into the boot. She said: "I am really happy with my choice and I can’t wait to receive my car and hoist. It will give me more independence and means that I will be able to take my scooter with me when I go shopping.